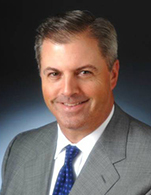 Timothy Devlin, managing director, is a senior client portfolio manager on the Global Equities Team, based in New York. He is responsible for communicating investment performance, outlook and strategy to institutional and retail clients throughout North America. He re-joined the firm in 2012. Previously Tim was the US equity portfolio strategist at Artio Global where he had earlier been director of client service working primarily with the firm's international equity clients. In his prior time at J.P. Morgan he was a client portfolio manager on the U.S. Equity team for 10 years. Tim also worked as a quantitative equity portfolio manager at Mitchell Hutchins. He obtained a B.A. in economics from Union College (NY).